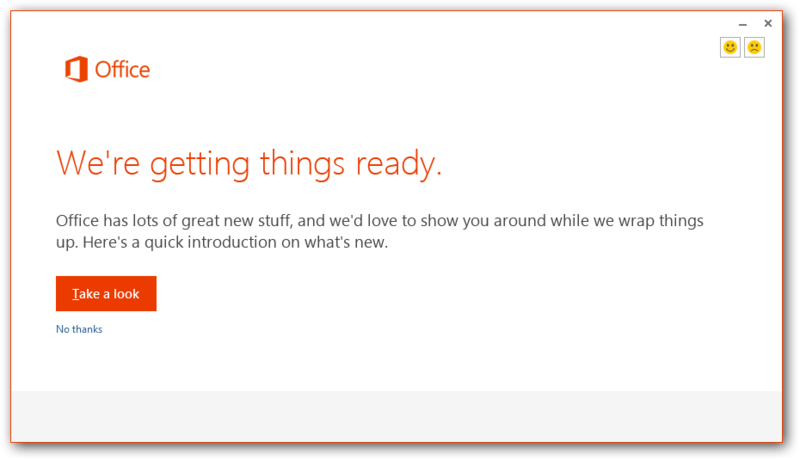 On July 16 2012, Microsoft CEO Steve Ballmer announced the immediate availability of the Customer Preview for the NEW Office 2013! 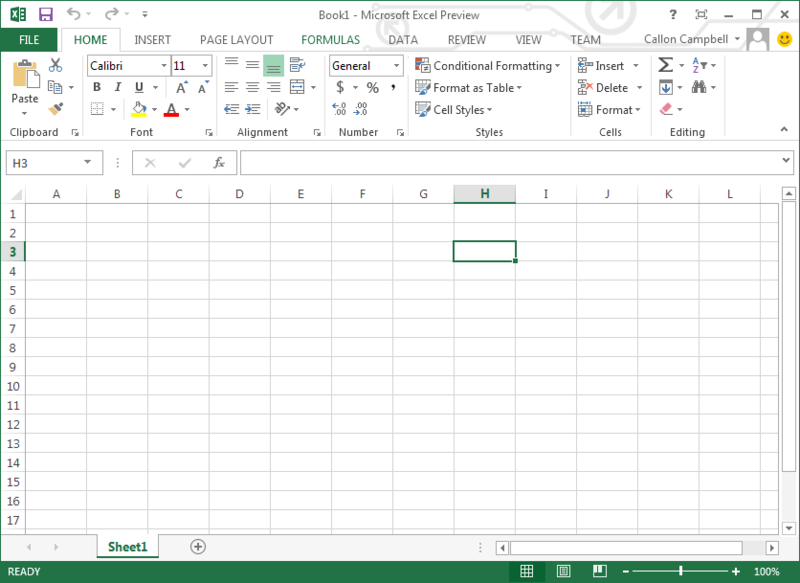 This latest version of Office provides a lot of new features including new support for Touch Input, Cloud services integration (SkyDrive), Social collaboration and the Metro UI. 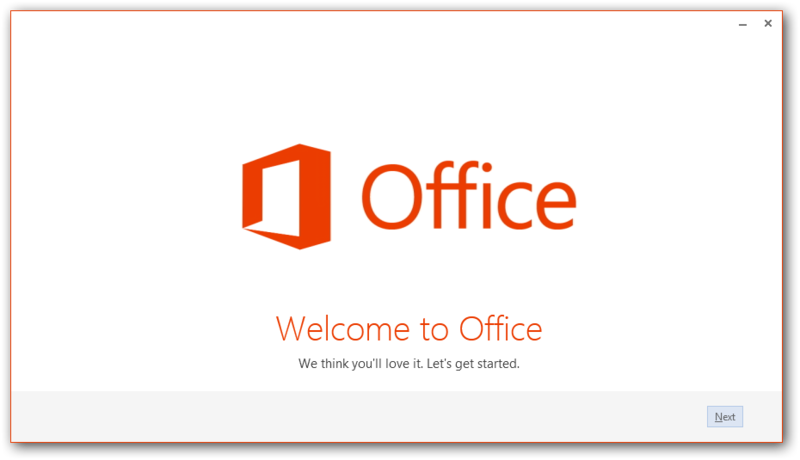 Office 2013 Customer Preview can be installed in just a few easy steps and installs within minutes and can co-exist and run side-by-side with an existing version of Office, which means there is no need to uninstall your current Office installation to try out the latest version, which is pretty neat. New subscription services. The new Office is available as a cloud-based subscription service. As subscribers, consumers automatically get future upgrades in addition to exciting cloud services including Skype world minutes and extra SkyDrive storage. Subscribers receive multiple installs for everyone in the family and across their devices. If you are a home user, click on the "Sign Up" button. 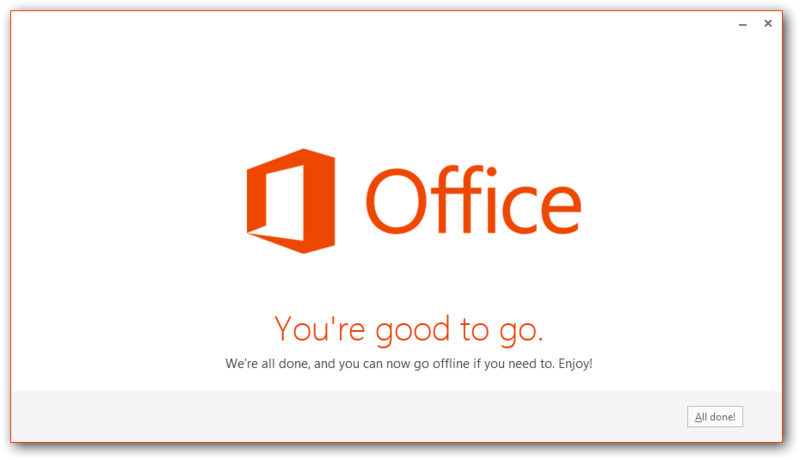 Business users can click on the "Office 365 Enterprise"
The new Office installer will launch via Click-to-Run technology. 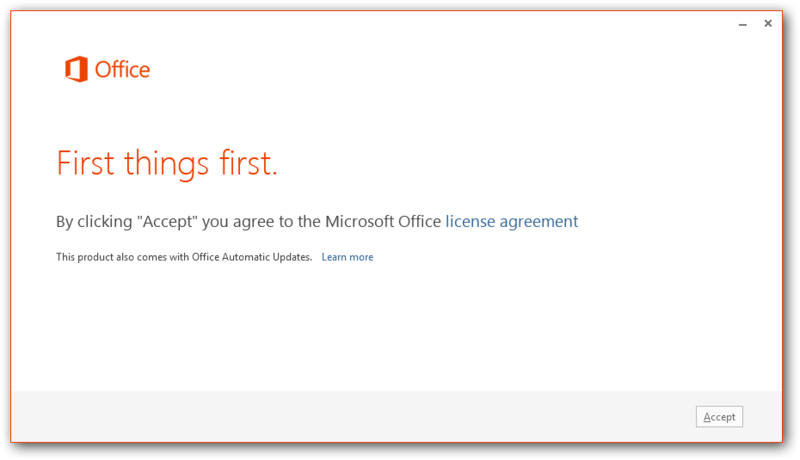 Review the Microsoft Office licensing agreement and then click the “Accept” button in the lower right corner. 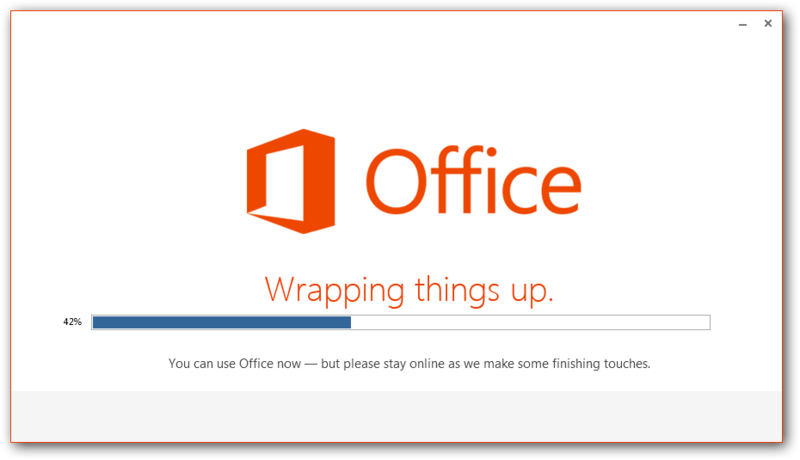 Within a few minutes, the core of Office will start to install. Then choose a look and feel to personalize your new Office client applications. Click on the “Take a look” button if you would like to get a quick introduction to what’s new. 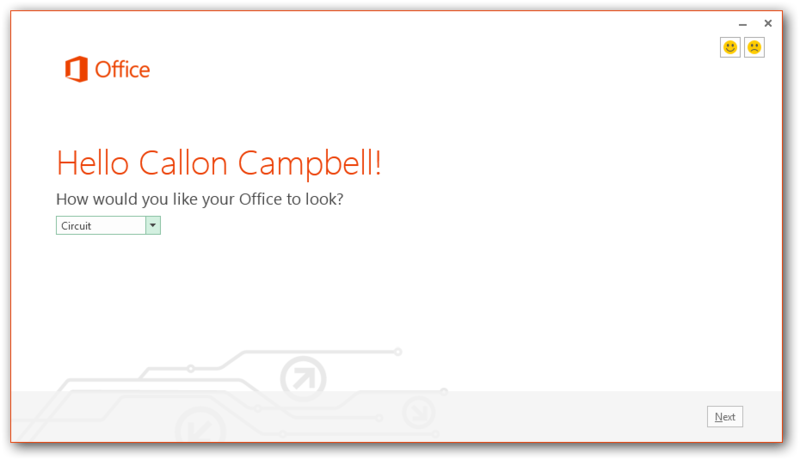 At this point, you can start to use Office. The rest of the installation will continue in the background and wrap up quickly. After the click-to-run installation completes, you’ll see a new group in the Start menu. Here is where you’ll get to see the new application icons. They are definitely Metro inspired. Here is the new Word splash screen which is briefly displayed as Word loads up. 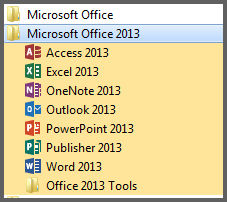 I really like the new Office 2013 experience. You should try it out for yourself. The other day there was an automatic update for SkyDrive for Windows, which added performance improvements, reliability and better integration with Windows. Among the changes are a new logo, an updated white icon for the system tray for Windows 7 and 8, and a new status window. This update brought us a new SkyDrive logo, which falls in line with the Metro look and feel that is coming in Windows 8. Part of this update includes a new status window to see what is going on with SkyDrive and whether everything is up to date. 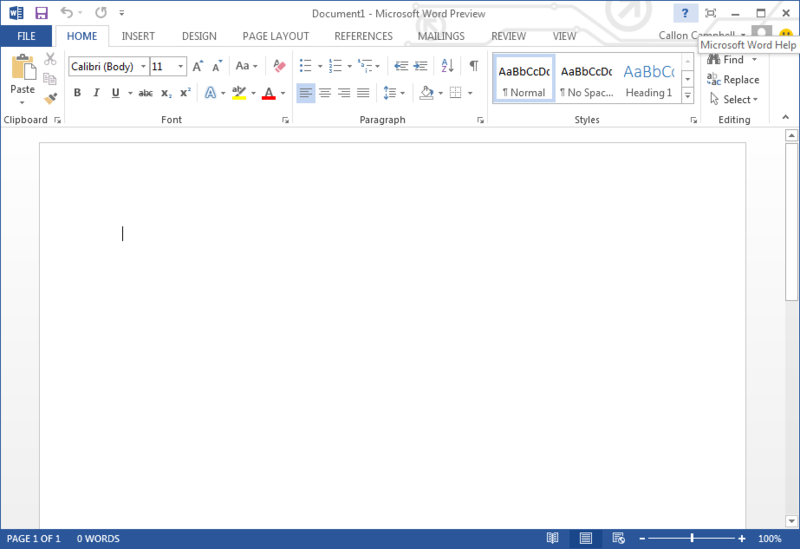 You can see this new status window by clicking on the SkyDrive icon in the system tray. 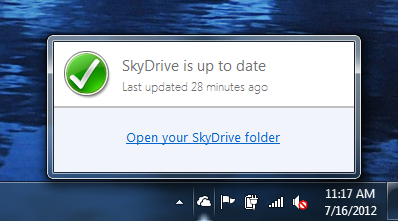 This status windows lets you know if SkyDrive it up to date, provides you the time it last was updated and also information on the size and files being synchronized. You may also notice the all white system tray icon “Cloud”. Apart from the above, most of what changed in this update is not visible to users. “As with most updates, "this one improves performance, reliability, and compatibility of SkyDrive," so people depending on the service can rely on the system to automatically sync files.” – Mike Torres, from Microsoft. If you have SkyDrive for Windows installed, then you should get this update automatically. 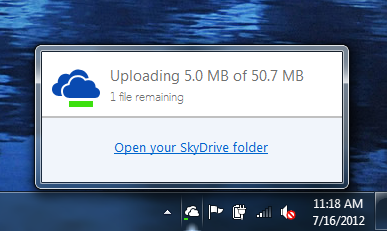 If you don’t have SkyDrive for Windows…I recommend you go and download it now from the SkyDrive web site. Microsoft recently released a number of SkyDrive updates, including changes to the service, mobile apps for iPhone and Windows phone and a preview of a new Windows desktop application. There are also changes to the storage size. As mentioned in a previous post, those that have been with Microsoft (MSN, Hotmail, Live) for a long time are being given a free upgrade to 25GB of storage. You can then add additional storage if you like. See my previous post for more details. If you haven’t already upgraded your account, you should take advantage of this before it expires. 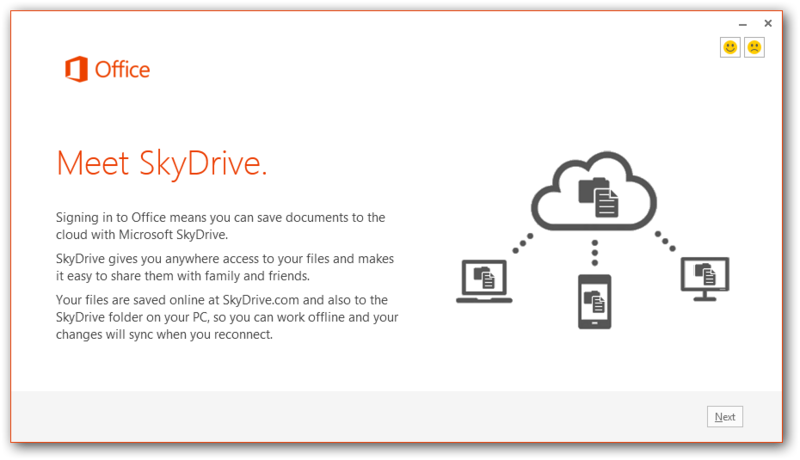 SkyDrive is a cloud based solution for storing important files on your PC and keeping them in sync with SkyDrive.com. It is the easiest way to access your SkyDrive from your PC. 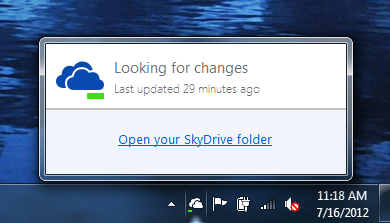 When you install SkyDrive, a SkyDrive folder is created on your PC. Everything you put in this folder is automatically kept in sync between your computers (PC or Mac) and SkyDrive.com, so you can get to your latest files from virtually anywhere. Whenever you add, change, or delete files in one location, all the other locations will be updated. If you forgot to put something in your SkyDrive folder, you can still get back to your PC to access all its files and folders from SkyDrive.com. 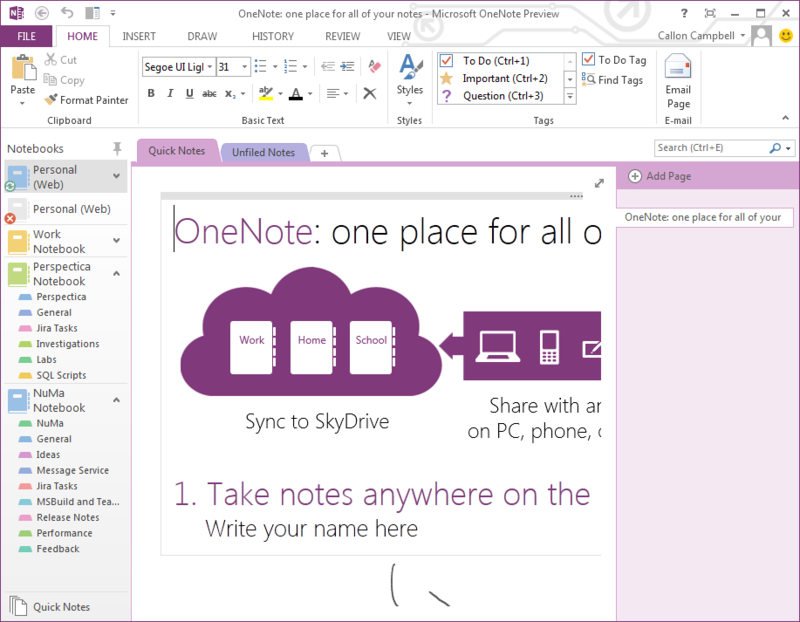 You can also access your SkyDrive from your mobile devices, including Windows Phone, iPhone, iPad, Android, etc. There is also support for the Mac. As mentioned above, with these changes comes a new desktop application for Windows which allows you to see your SkyDrive as if it were a physical folder on your machine. This has the added effect of making any program with a save option SkyDrive enabled. Similar to other cloud solutions, this desktop application lets you drag and drop files to the SkyDrive folder. These files are then automatically uploaded to the remove server. This means you can work on a document, save it to SkyDrive and then always have the latest version available online, your phone, another computer, and so on. This application is compatible with Windows Vista, Windows 7, and the upcoming Windows 8. Windows XP users will have to use the web browser interface. You can download any of the SkyDrive apps from here. If you’ve been a customer with Windows Live, Hotmail, MSN, etc., then you’ve most likely been through a lot of changes. Microsoft appreciates your support and would like to make it easy for you to continue to keep using your 25 GB of free online storage. All you need to do is go to the SkyDrive storage page and choose Upgrade my storage. That’s it—you’re then locked in for 25 GB for free. NOTE: This offer only works with older accounts. 1. Sign in to your Windows Live account and then click on the SkyDrive link at the top. 2. Then if your account is eligible, click on the message that says “SkyDrive’s free storage is changing – claim your free 25GB”. If you don’t see this message, then your account is not eligible. 3. Click on the Free Upgrade! Button. Alternatively you could decide to upgrade to higher storage allotments… +20, +50, +100 for a small fee. I would first start by upgrading to your free 25 GB and then if needed, consider adding on to that.